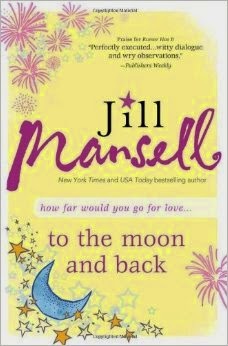 Review: If you are looking for a cute romance with a realistic love story, you might enjoy this book. Ellie and Zack's relationship is a series of mis-communications but came across very real. Even though Zack feels an instant chemistry with Ellie, she doesn't reciprocate. She lost her husband just over a year before meeting Zack and she isn't even thinking about other men. I loved that they didn't experience an instant love connection and the relationship slowly developed. Ellie's friend Roo was a character who was frustrating (she's having an affair with a married man) but in many ways my favorite because she brought a burst of energy onto the pages. Ellie and Zack were a tad dull so it was nice to read Roo's sections. There was a subplot involving Ellie's father-in-law that was interesting, although he seemed to have that instant love connection that I'm getting frustrated with in romance novels. Overall-very cute read that I enjoyed. This would be a good one for the beach.